3) Increased confidence with the ball. Activities include a variety of skill lessons, games and contests to keep the campers interested and learning. A strong emphasis on individual instruction along with the low camper to counselor ratio allows campers of every level and experience – recreational to select – to enjoy and improve. Instruction includes dribbling, shooting, passing, foot skills, plus 1-v-1, ball fakes and heading at the appropriate level. All campers receive a camp shirt and ball. All weeks include more advanced sessions for middle and high school players ( High School groups for Girls only in day camp) . Almost 200 campers 6th grade and above attended last year. 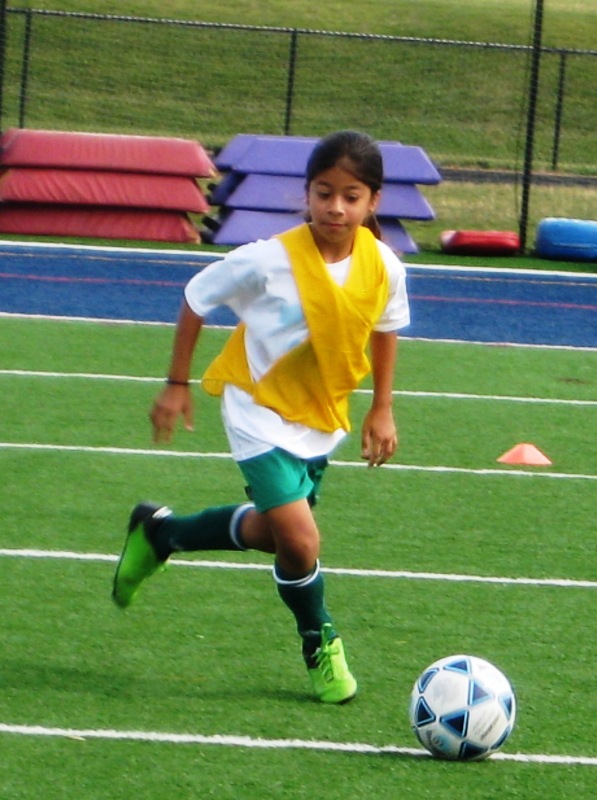 These sessions include more tactics, 4 v 4 tournaments and scrimmages. COST: All full day tuition is $250.00 until April 18th. After April 18th it is $275.00 for the first camper or week, and $250.00 for siblings or additional weeks, or for team groups of 8 or more. . Cost for Half Day Sessions is $150.00. See High School Prep page for special discount for HS Prep plus a full day session. See Goalkeeping page for special goalkeeping week discount offer. SCHEDULE: Full Day is 9:00 – 3:00, Half day is 9:00 – 11:30. Campers can be dropped off at camp after 8:30. AFTER-CARE is available through Good Counsel until 5:30 pm at $60.00 a week, and may be paid with camp registration. REGISTER HERE Please note: If you have played on any GC soccer team, GC does not permit you to attend any session.